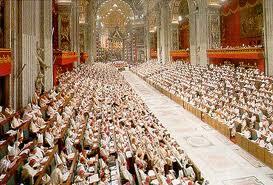 As promised I will continue my reflections on Vatican II as we begin this Year of Faith. I want to stress that these are my personal thoughts. I do not present myself as an expert, nor do I pretend that this is an in depth analysis of the council, but simply thoughts that come from my own personal experience. In this reflection I would like to name 3 important things that have emerged in the Church as a result of the Second Vatican Council. The first is ecumenism and inter-religious dialogue. I was riding in a car recently with someone who said, "I'm glad the days of ecumenism are over." I was stunned by this and pointed out that they've only just begun. It is true that in recent years the leaders of our church have warned against relativism, thinking that we're all the same when it comes to religion, and have pointed out areas where we are still not in agreement with other Christian churches. That having been said though one should note that the Orthodox patriarch of Constantinople and the Anglican archbishop of Canterbury were present at the opening of the Year of Faith in Rome. Likewise it is true that both Pope John Paul II and Benedict XVI have met on many occasions with leaders of other churches and other religions. I remember when we were forbidden to enter Protestant Churches. That has changed. The council encouraged open and honest dialogue with other churches and collaboration with them in areas where we agree. I have placed a picture above which show me singing in an ecumenical choir, something a priest would have been in deep trouble for doing years ago. The ecumenism promoted by the Church is one which seeks to find common ground while honestly acknowledging our differences, but always striving toward the unity which Jesus prayed for in John's Gospel. (See John: 17,1), It does seem at times that we have come to a certain point and stopped. Some of the other churches seem hardly open to ecumenical activity as well. We need to pray to the Holy Spirit to move us beyond this impasse. Some may not realize this but the word ecumenical applies only to interaction between Christians. The term inter-religious dialogue is used for dealings with Jews, Muslims and other religions. The council document Nostra Aetate dealt wonderfully with that and opened up a whole era of improved relations with our Jewish brethren, something for which Pope John Paul II deserves a great deal of credit. Pope Benedict has continued that openness. For me I always remember my parents having Jewish friends and I worked at the soda fountain in the drugstore of a wonderful Jewish man when I was a teenager. There was plenty of antisemitism around me though and we still have to work in society in that area even though we have come a long way. Over the years I have had the privilege of participating in the Seder in Jewish home and having wonderful discussions with several rabbis. Among other things the Seder or Passover celebration made me more aware of the Jewish roots of our Catholic Mass. As for dealings with Muslims this is a must for us today. As we deal with Islamic terrorists who distort that faith we need, in the spirit of St. Francis who met and prayed with the Sultan during the fifth crusade, to engage our Muslim sisters and brothers in dialogue. I am not talking about dialogue with political leaders but with religious ones. We need to discover the common ground between us and honestly ask them about aspects of Islam that would seem to encourage violence. Did you know that Muslims believe in the virgin birth of Jesus and see him as a prophet? Did you know that the Franciscans and Dominicans who traveled with the crusaders were so impressed with the Muslim prayer beads and their practice of praying 5 times daily that they created the Rosary and the Angelus (prayed three times daily). Well folks, I began this reflection desiring to point out three things of importance that came from the council. The other two are lay involvement and liturgical reform. This is enough writing however for one blog entry so I will take up the other two in my next post. 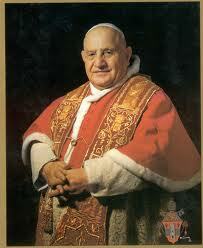 Fifty years ago today the Second Vatican Council, convened by Blessed Pope John XXIII, began in Rome. Our current Pope, Benedict XVI, has called the Church to a Year of Faith to mark this important anniversary. In my next few blog entries I would like to reflect on the core ideas and actions presented by that council and its impact on the Church and the world. With this blog posting though I simply wish to share my own experience of the council and its aftermath. On October 11, 1962 I was a college freshman at Immaculate Conception Seminary in Troy, NY. While I do remember that we had a special Mass of the Holy Spirit to pray for the success of this council I don't remember having any sense of what the council would do or was supposed to do. That would change quickly. I would add that the world was at the brink of nuclear war due to the Cuban missile crisis and that there was a prayer vigil for peace in Rome the night before the council began. Could that be part of the reason the crisis was averted? My early days in formation were not affected by the council, though we did hear reports that the use of the vernacular at Mass might be allowed. We prayed in Latin and were taught in the traditional way which reinforced that sense of Church that I had grown up with, but then things changed. In Advent of 1964 a limited use of English was allowed at Mass. By Advent of 1969 everything was in English and a new rite for Mass was put forth. The rituals of all the Sacraments changed. Over a period of about ten years the changes proposed by the council were put into effect. The Anointing of the Sick was not limited to the time of death. Extraordinary ministers of the Eucharist were allowed. There were permanent deacons. Lay people were used as lectors. These were the external changes. They were wonderful and beautiful to me and many others. It was a time of excitement and renewal in the Church. There was also, however, a good deal of turmoil. Large numbers of priests and religious left and married. There was experimentation with the liturgy that at times was "over the edge" and I must admit at least a small amount of guilt with that. There was also an encouragement to read and study Scripture and liturgical rites became more scriptural. This went hand in hand with the promotion of ecumenism. 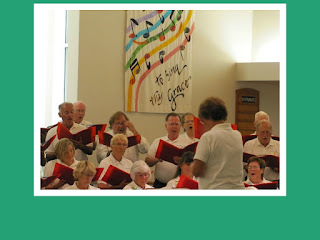 In my own experience I have been able to participate in ecumenical prayer services and most recently to sing in an ecumenical choir in Eagle River, WI. In the western world at least the council also happened at a time of social upheaval. There was the civil rights movement and the Vietnam war protests. Priests and nuns were participating in many of the civil rights marches and war protests. This was a good thing and was inspired, I believe by the Pastoral Constitution on the Church in the Modern Word, or Gaudium et Spes, put forth by the council. I myself was in a few of those marches At the same time the healthy spirit of change promoted by the council became in many cases an iconoclastic and rebellious unleashing of angers long held in check since prior to the council itself. As Franciscans we reflected on Perfectae Caritatis, the document on religious life. This encouraged us to return to the spirit of our founder, Francis of Assisi. We, and members of many other orders as well, realized how we had strayed from that spirit. Of course the more legalistic and formal way of living religious life still produced many fine and holy people, but that in spite of structurally moving away from our early ideas. The most visible way that our life has changed has been in having the brother,the non-clerical members of our community, become treated equally with the priest, though we are still disputing with authorities over what levels of leadership they can participate in. Likewise we have moved away from being a sort of semi-monastic order which we were never meant to be. Four years after ordination I made a Marriage Encounter and became involved in that movement as a team priest. Along with the Cursillo and the Charismatic Renewal many lay people as well as priests and religious grew into the more personal relationship with God, with Jesus, that the council was trying to promote. I could write many wonderful thins about Marriage Encounter and how it made me a better friar and priest, but in relationship to the council it was a wonderful experience of ministering with lay people as equal partners in ministry, something now promoted by my Franciscan province. In recent years I have heard people say that the Vatican is trying to roll back the council. While there may be some truth to this it really can't happen because Vatican II, like any council, is part of the Church's magisterium, or teaching authority. I have a great respect for our ancient traditions and am glad that I was steeped in them at a younger age. There are some today however who want to go back to an age that never really existed because it is a nostalgic notion of what it was like back then. Have there been excesses that need to be curtailed? Yes. Go backwards? No. Let us be guided by these words of Pope Benedict XVI in this mornings opening of the Year of Faith. "The Council did not formulate anything new in matters of faith, nor did it wish to replace what was ancient. Rather, it concerned itself with seeing that the same faith might continue to be lived in the present day, that it might remain a living faith in a world of change." My travels are off to an early start this year as I am now completing my third parish mission since finishing my summer ministry in Eagle River. The pace will slow up a bit for a few weeks as I return to my friary in St. Petersburg and work on the editing of my soon to be released book, The Wandering Friar. On the more serious side the three missions that I have done, though taking place in small parishes, have proven to be quite fruitful not only for the parishioners but for myself. I have met so many wonderful people whose living of the faith is an inspiration to me, including a family here in Brookfiled, MO who have started a successful small business and who also have taken in foster teenagers, troubled teens that others do not want or cannot handle, and provide them with both love and the firm direction that they need. If I write another book like the one that is awaiting publication their story will certainly be in there. In these times when issues like pro-life and pro-choice are being bandied about by politicians it strikes me that folks like them are putting their money where their mouth is and truly living the pro-life message. The last two weeks spent in central Missouri have also exposed me to life in a different part of our country. This is an area where farming is big. It is so interesting as well as both inspiring and heartbreaking to hear the stories of people who till the land for a living. The drought of the past summer combined with our difficult economy present some real challenges for them. When we urban and suburban folks go to the supermarket and have to pay more for food we need to realize our connection to these good folks who work hard to grow the crops that provide our food. This is just another example of the interconnectedness of us all in the Church and in the world. 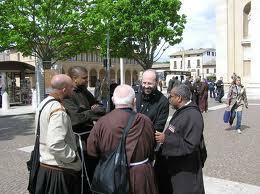 Now it's on to St. Anthony Friary and at least the end of the Oct 4 Feast of St. Francis with my brother friars.